Educhat lets a group of Teachers, Parents and Students stay connected instantly and make every classroom into a safe and secure online community. 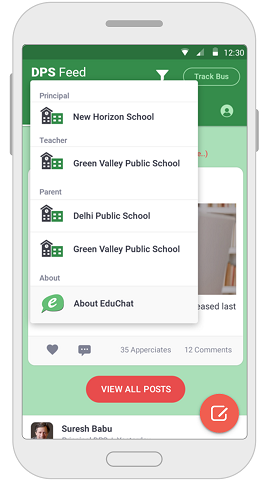 EduChat is an application that instantly connects parents, teachers and students under one platform. It has a very SIMPLE and easy to use interface for everyone. Parents and Teachers can connect and chat with each other at any time. Parents with children in different schools can access multiple groups under one single account. 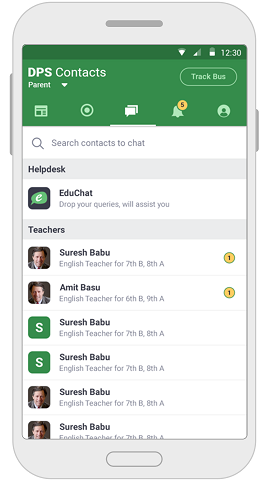 EduChat provides a SECURE platform to chat as it maintains privacy of contact numbers. 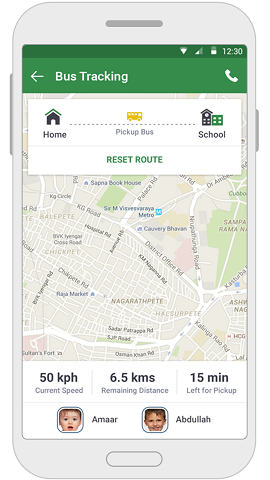 It is a trusted partner of over 4000 schools and over a million users.Parents, teachers and students can download the application from Google Play Store absolutely FREE and it can be accessed on any android platform, giving its users the freedom of staying connected and staying updated from anywhere. EduChat provides a large community of parents and students who come together to support each other with information, assistance and latest news. EduChat is specifically designed for the use of teachers, students and parents to stay involved in their child’s world of education. 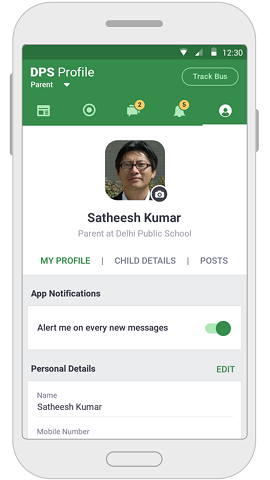 It has fantastic features like multiple school groups, one-way announcements, two way interactions with teachers associated with a class group etc. With EduChat teachers can now send announcements, adulations, preset messages, reminders, schedules, images, projects, assignments etc. instantly and directly to parents of their students with just one click. 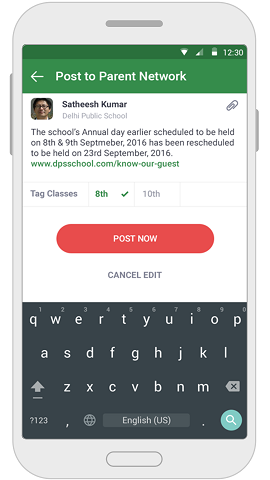 Gone are days of delays with phone calls, notes or meetings.With its many security features, teachers have control over addition or removal of participants in a group. It also allows the teacher to interact with a student or parent individually. 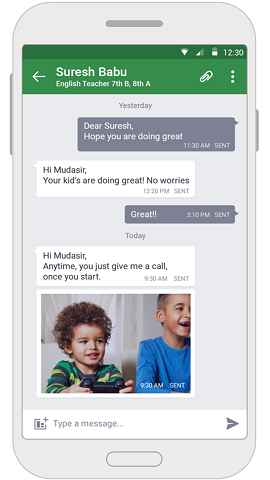 An easy, simple and instant communication platform like EduChat ensures deeper involvement of parents with the progress and everyday activities of their children. Parents can now be part of their child’s world from any part of the world - day or night. 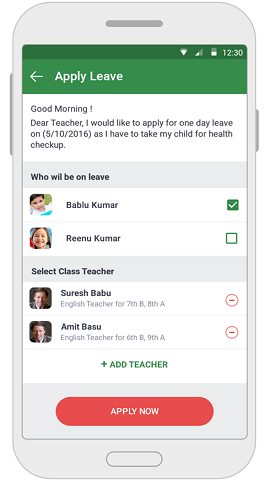 It allows parents to stay involved and updated on the progress of their child at school everyday without the trouble of having to visit personally. EduChat is a very useful means of communication especially for us in the village set up. 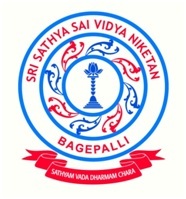 Parents come to know the events and activities that are going on in the school. Earlier it was hard to convey information to parents as the students were not conveying information accurately. For the teachers we use it as a reminder of the events that they need to prepare. EduChat has assisted us greatly to bridge the gap between the teachers, parents and students. We are indeed very grateful to you. 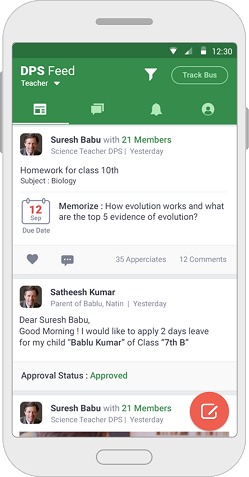 I am completely satisfied with Educhat and I am regularly using this app to interact with teachers, sending all information of students to parents. Now parents have also downloaded EduChat and are interacting with us. This is saving our energy in multitasking. This is really a boon for us and I think this is the first time being used by most of the schools in India. I really thank the EduChat team as they help us immediately in case of any trouble, even on holidays. I personally recommend every school to use it. 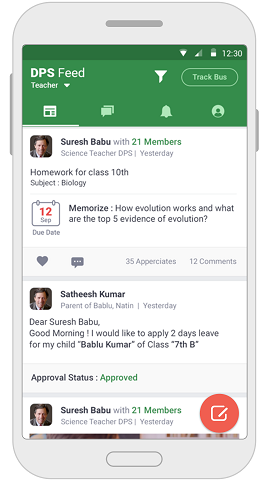 EduChat application is miraculous and extremely helpful to every educational institution. 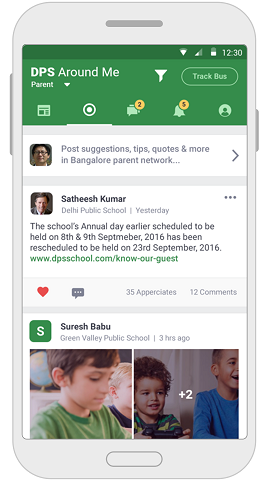 It has brought Parent, Teacher and Student’s community onto one platform where ideas are exchanged within seconds. All the teachers and parents of our vidyalaya are using EduChat regularly to mutually consult and discuss the academic performance of a student. School Administration has become easy due to this instant communication with parents. The most wonderful benefit of EduChat is that it can send the information to even phones without the application via SMS. Hats off Team EduChat..